Here at Design in WA, we love looking at all the amazing work being done by the Western locals - through houses, venues, and products. Something really exciting that came across our desk this week was West Australian design in the form of Australia’s first traditional style Absinthe - The Jezebel. 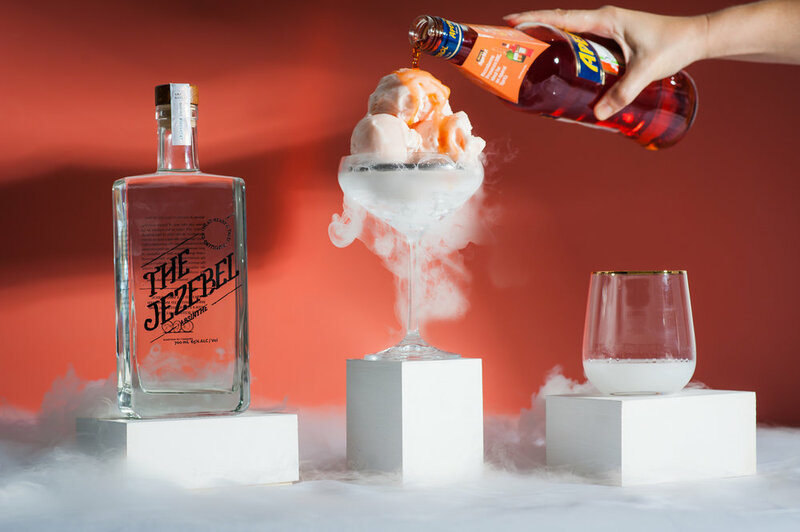 Brought to you by Australian distillery, Head Heart & Tales, The Jezebel began as a discussion around a dinner table in Perth’s suburbs and after 3 years in research + development has became reality. You may think of absinthe as a fast-track to a bad hangover, however this boutique spirit is hand-crafted and well-balanced, using eight exotic botanicals to round out the flavour and create an incredibly smooth product that works perfectly as an apertif or the base of a classic cocktail. The double-distilled spirit is a “blanche” style absinthe using sibling spirit, The Old Brother Vodka, as a strong base which is further distilled and infused to create the clear spirit that can been seen as the end product (a strong sign of natural ingredients and a pure product). Head Heart & Tales are passionate and committed to providing a high quality, superior product with integrity and use a very hands-on approach from beginning to end. Ash Doney, founder of Head Heart & Tales, began the distillery out of a need to discover new challenges after working in the mining industry for 12 years. He saw introducing an Australian Absinthe into the market as a hard task, but says he felt the Australian public were missing out by being misinformed about the spirit. "Celebrating Australian produce and makers, whilst sourcing the best globally each bottle is uniquely crafted and hand assembled, ensuring the journey of The Jezebel is personalised from distillery to glass"
Inspired by tales passed down from his grandfather and father, and galvanised by a proud family history - Head Heart & Tales Distilling Co. harnesses the best of the land - “this attention to detail was key to our philosophy as an emerging brand - building collaborations, supporting Australian businesses and celebrating Australian produce - to holistically create and market a product which has not been done before in Australia."